Classy with a Kick: My First Award! "... 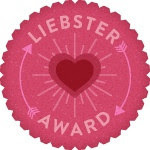 The Liebster Blog Award Given to upcoming bloggers is Who Have less than 200 followers. The Meaning; Liebster is German and Means sweetest, kindest, nicest, dearest, beloved, lovely, kind, pleasant, valued, cute, endearing and welcome. " Someone nominates you for the award by listing your blog on their site and creating questions for their nominees to answer. You select 5 blogs who have under 200 followers and create questions for them. So here are Natalia's questions and my answers. 1. How do you relate to fashion? 2. What has changed in blogging from the moment you started to now? Well, I just started in April but this entire blogging world is so big. There are so many inspirations out there from social media outlets to blogger forums to Pinterest. There are also so many ways to monetize your blog. 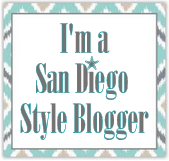 I now see how blogging can be a full-time gig instead of just a pastime for many people! 3. Share your own concept of style. Style is what you make of it. I think as long as you feel confident in what you are wearing, you are creating your own style. While it is great to take ideas and be influenced by others, it is important to define your own style and stay true to what you love. If you love it and it shows, you are stylish! 4. Why do you like fashion? I like fashion because there are really no wrongs or rights and so many options. You can mix and match colors, fabrics, textures, etc. There are no limits! 5. According to you, what does the fashion world need? A way for young/new designers to reach mass audiences easier. There are so many great up and coming designers that should get more exposure as their creations are pretty amazing! 6. What is the difference That You want to share with your readers? I don't want my readers to like or agree with every outfit or style suggestion I post. I just want them to understand that we are all unique and that is what makes the world go round. I also want to encourage them to share their thoughts with me and my readers. I love when people get into conversations and exchange ideas. It is so inspiring! 7. What is your favorite fashion place? This is a difficult question...but as I mentioned before, my loyalty is with Nordstrom so if I were stuck on a desert island with just ONE store...it would be my Nordies! 8. How do you define elegance? Elegance is confidence. You don't have to have the most expensive dress/accessories to be elegant. 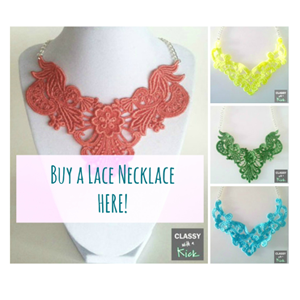 If you are confident in what you are wearing - you will look elegant in anything! 9. Define your styling process for a shoot. I don't really do shoots right now. I do love personal style photos, however, I find that sometimes the people in them are distracting - meaning, it's hard to imagine myself in certain outfits if I already have a clear picture of what they look like. I like taking suggestions and making them my own. 10. What Experiences Have Taught You The MOST About managing a fashion blog? I think being a part of a blogger network is pretty cool. It's a great way to make friends and learn some tips of the trade. Fellow bloggers have the best suggestions and ideas...they are the ones to learn from! 11. Which social media do you prefer to interact with your readers? For interaction, I like twitter and Facebook as you can talk to big audiences directly. I do love Pinterest though...it is a great way to gain followers/readers visually. Answer the questions the tagger has for you. Then create your own 11 of questions for the people you will tag. Link the tagger and the people you tagged in your post. 2. What are your favorite type of posts? 3. Why do you choose to follow a blog? 4. What does "fashion" mean to you? 5. What is the #1 way you gain followers? 6. Can you name 3 clothing items you could not live without? 7. Which blogger do you consider your biggest inspiration? 8. If you could only shop in one store for the rest of your life, what would it be? 11. What is your favorite social media channel and why? Oh, and I am doing a blog hop today...check it out! Glad you found me through the blog hop! 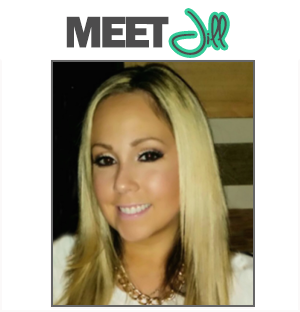 Sounds like we have a lot in common and I can't wait to dive into reading your blog! & Thank you so much you are so sweet!!!! you ladies should check out my friends website to its super cute!!!! Miss Jill- I am SO HONORED to have been nominated by you for this award! Thanks for totally making my day :) You rock! Congratulations! 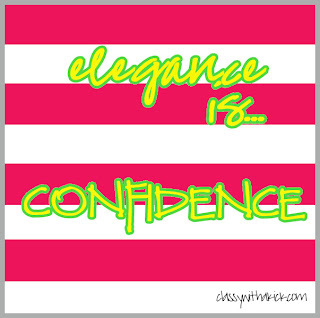 And I definitely agree that elegance is confidence! Thanks Nicholl! 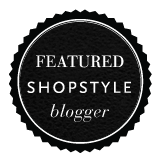 I LOVE your blog...I'm now following you! Congrats on the award, Jill! Thanks for accepting ;) great answers!